These days, there is little doubt that intelligent and integrated ERP systems enable strong supply chain models to function. Trends towards servitization, where businesses add value to their product offering through additional services, such as aftercare, were made possible by linking the necessary business functions within the chain. More recent trends, including the circular economy, focus on re-use, regeneration and recyclability of materials, components and products, and are similarly enhanced by efficient data sharing throughout the supply chain network. When a strong supply chain model is supported by the best technology it renders companies resilient to change in the supply chain. This contributes to overall organisational resilience, which is vital in uncertain economic conditions (such as we are currently facing with Brexit and the general state of flux in international markets). It also enables companies to be flexible and adaptable to respond to different market conditions, supporting growth potential and opportunities for manufacturers and the supply chain as a whole. 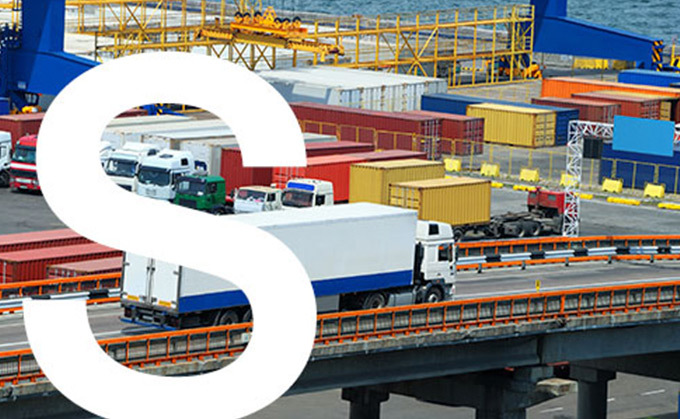 Although SCM was once widely thought to be concerned simply with logistics planning, this view is no longer an adequate basis for competitive business. The advent of Industry 4.0, Smart and Connected Factories, supported by the Internet of Things, now emphasises the need to take a fully integrated approach to the supply chain, using ever more powerful technology. But even this has its issues. The shiny new phrases and buzzwords that seem to have taken over the media and which are also a constant theme in seminars and conferences run the risk of creating confusion around the supply chain and the processes involved. Although we have highlighted just a few of the ERP modules relevant to the key business processes, the SYSPRO solution has evolved to span the full scope of these processes. K3 Syspro spent time developing its own tools to integrate SYSPRO and other applications to increase supply chain automation, adding systems integration and data manipulation tool DataSwitch, and HR solution Equator HR to its product portfolio. By assembling the K3 Business Technology Group and by developing systems in close partnership with third party vendors with expertise in specific fields, we have developed ERP solutions that are not only best-in-class but can also offer absolutely unique solutions to our customers. The internet has ushered in an omnichannel retailing world, in which businesses are increasingly forced to evolve their supply chains to become more agile, resilient and customer-centric. As a result, organisations tend to want their supply chains to have simultaneous characteristics: efficient, fast, agile, custom-configured, and flexible, among others. Yet each of these capabilities requires different skills, and in the majority of cases, these skill sets are incompatible within the same supply chain. However, it is possible to develop several supply chains within a single organisation, each focused on a defined market segment with a responsiveness level and a cost structure that are appropriate to the segment it serves. Another important influence on the current direction of supply chain modelling is engineering technology. Robotic handling, assembly, automation and advancements such as machine learning are allowing new business models to evolve. As a consequence of automation, companies are able to consider reshoring their production, packaging and other operations to bring manufacturing closer to their customers. For these companies, the cross-functional data provided by a best-in-class ERP system like SYSPRO enables them to revolutionise their supply chain models. Technology plays a major role in e commerce. E commerce is somewhere lacking in gaining trust of their customers. Most the issues arises due to technical issues. This needs to overcome as soon as possible. Thanks for sharing above information.